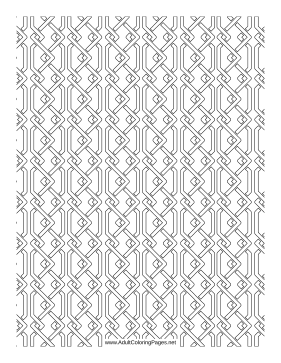 Wiry corners interlock in this elegant pattern for adults who like to color. These adult coloring pages are easy to download, customize, and print. They are available in .PDF format. Just download one, open it a PDF reader and print.